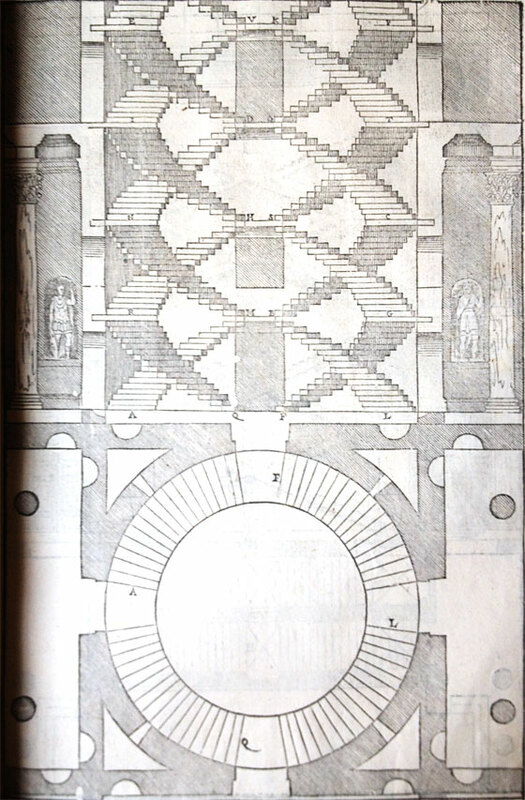 Palladio’s illustration of the staircase. 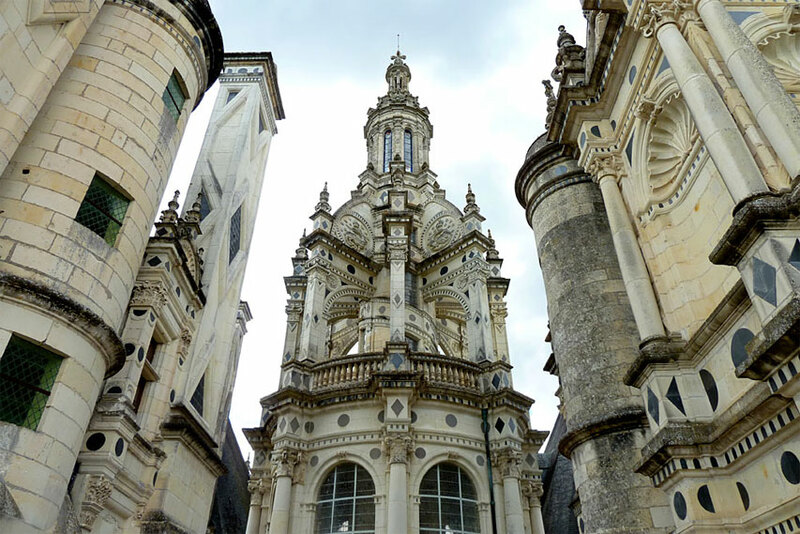 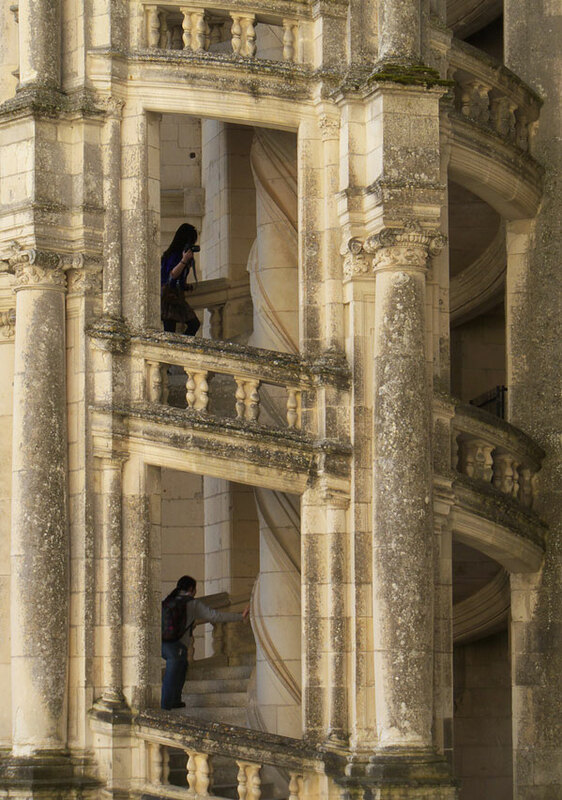 At the heart of the Château de Chambord lies a double helix staircase. 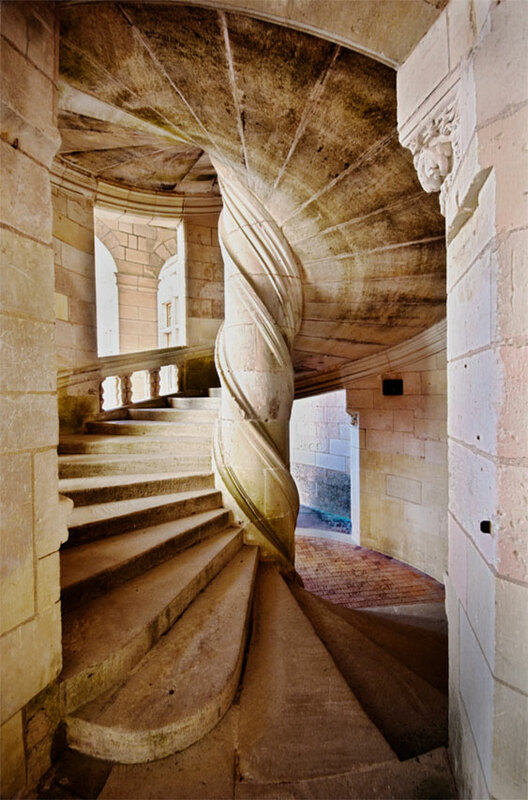 It is, in fact, two staircases that begin opposite one another, neither visible from the other. 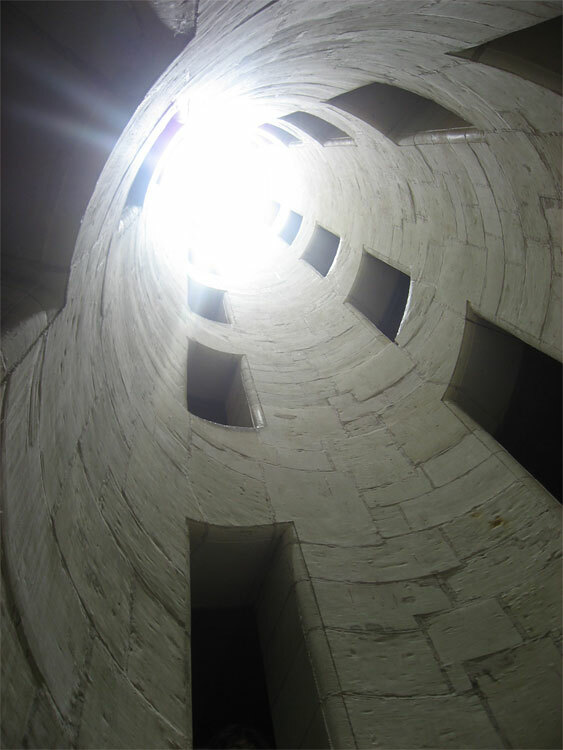 From the ground floor, these two staircases wind around a central illuminated well, visible to each other only in glimpses through small opposing windows. 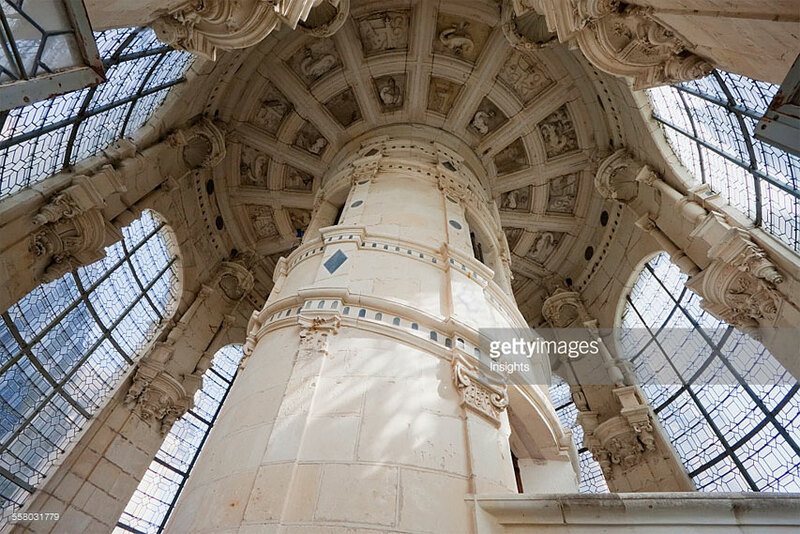 They twist up to the top of the chateau where they meet in the roof. 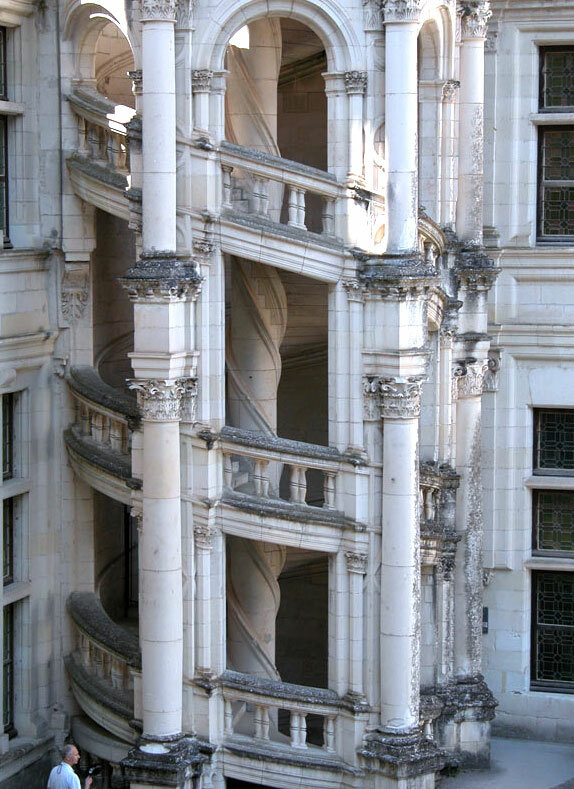 Legend suggests that this configuration was designed so that Louis XIV, the Sun King, could arrange clandestine meetings with his mistresses at the top. 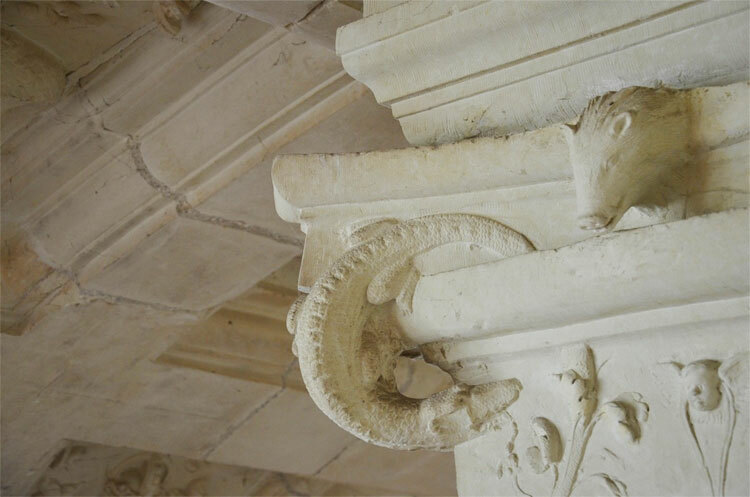 The steps are supposed to be sufficiently shallow that a lady will not tire in ascending them.